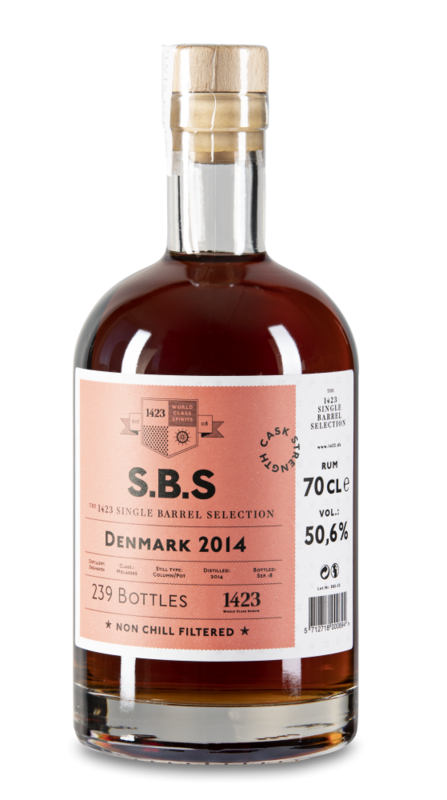 S.B.S Denmark 2014 comes from a single cask, which yielded 239 bottles. The rum was distilled at Enghaven Distillery. This S.B.S Denmark 2014 is the first Danish rum joining the Single Barrel Selection family. It was distilled in 2014 at Enghaven distillery, a micro distillery in the north of Denmark. The entire maturation process took place in a Port barrel. The barrel choice as well as the slow maturation in the cold Scandinavian climate makes this rum a true specialty. The edition is limited to 239 bottles. Nose: Hints of yeast, spices and typical port fruitiness combined with earthy elements. Palate: Peppery start followed by raisins and prunes, ending in a dry finish.